The Apple iPhone X is a smartphone that was tested with the iOS 11.1 operating system. This model weighs 6.1 ounces, has a 5.8 inch touch screen display, 12-megapixel main camera, and 7-megapixel selfie camera. It comes with 3GB of RAM. It was tested with 64GB of storage. 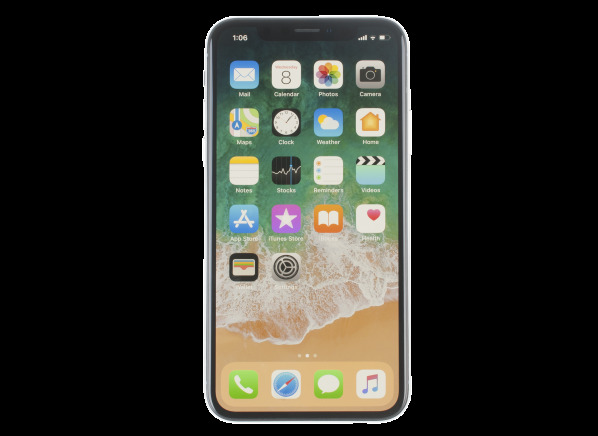 The Apple iPhone X is part of the Cell phone & service test program at Consumer Reports. In our lab tests, Cell phone & service models like the iPhone X are rated on multiple criteria, such as those listed below. Camera: Rear image quality: Still image quality using the rear facing (main) camera. It is based on objective and subjective judgments of test images, which includes evaluating resolution, dynamic range, color accuracy, and visual noise.